Boost your brand with a custom beach ball! 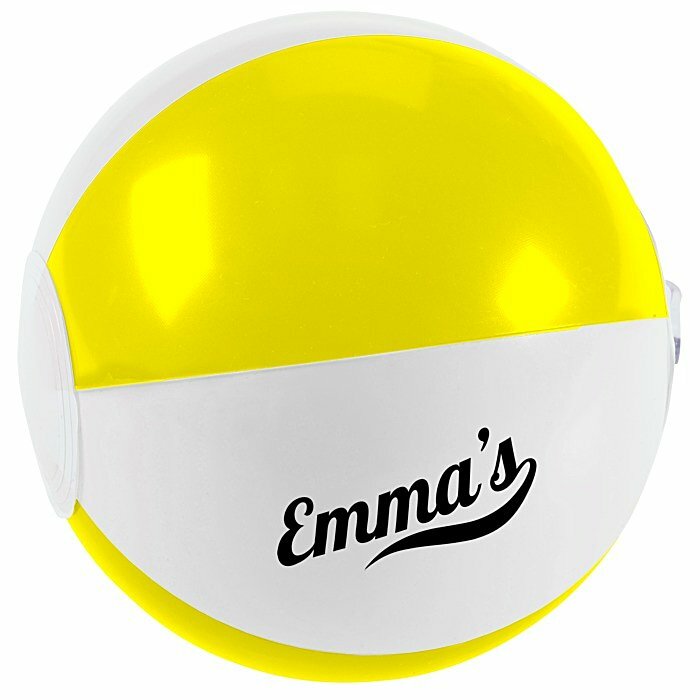 5 color(s) to choose from! These two-tone beach balls are perfect for a day on the beach or poolside. Play a friendly game of catch or casual volleyball all while promoting your brand. 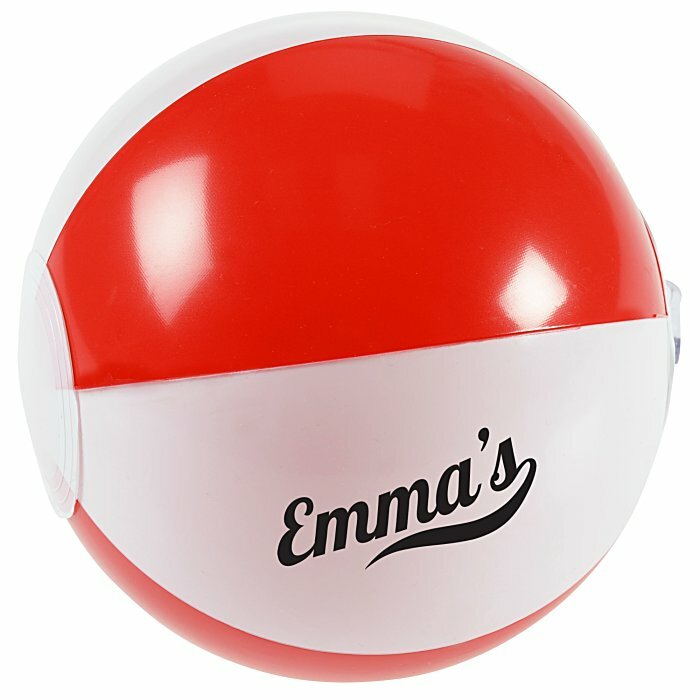 This inflatable ball is available in a variety of two-tone options. Two-done design features colorful panels contrasted by alternating white panels. 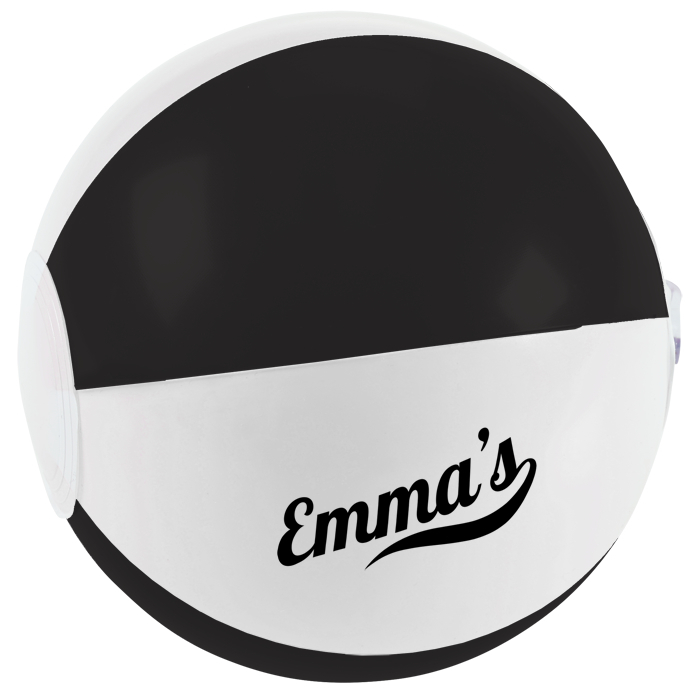 Your price includes a one color imprint on the ball, on the white panel. * Excludes art preparation time, applies only to orders of 1000 items or fewer.